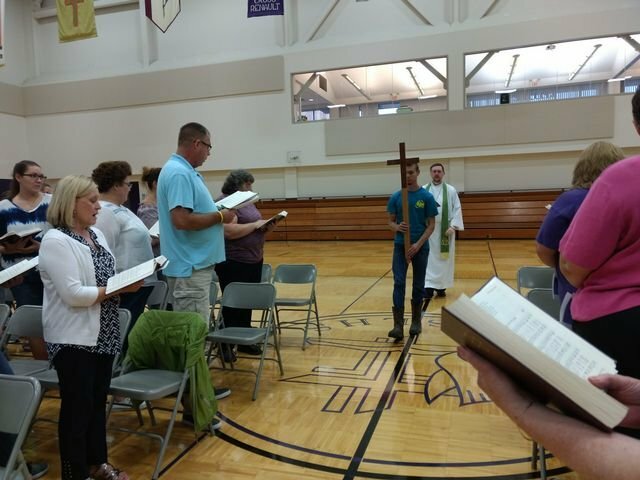 On Monday, August 20th, COSLHS held it’s Opening Worship and Back to School BBQ. Students, families and friends gathered to enjoy a meal and start the year of with blessing the faculty, staff and students. Pastor Scott Hojnacki of Trinity Lutheran lead worship for the evening. He spoke on the school theme for 2018-19, “It’s Still All About Jesus”, and installed the faculty, staff and board members for the year. Special music was provided by a community handbell choir made up of students and adults.